Happy Independent Bookstore Day April 28. Let’s Celebrate Independent Bookstores! April 28 is National Independent Bookstore Day. How will you honor the day? Cambridge, MA, where I attended both college and grad school, had to be one of the most independent bookstore-rich towns in the 80’s and 90’s. You could find the independent bookstore that fed your particular craving, solved your specific problem or could help you conquer your current challenge—all in that uniquely book-scented environment, each store with its singular decor, texture and ambiance. 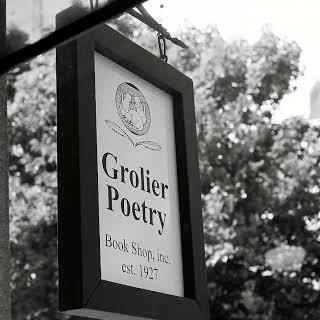 I bought my first volume of Mary Oliver’s poetry at the Grolier Poetry Book Shop in Harvard Square on the recommendation of a sales associate there—my first hardcover, full priced poetry purchase! I think it may have been 1990 and I had just rejoined the workforce after grad school. House of Light lived up to its title and I dearly loved it. I returned whenever I had the discretionary income for poetry. A google search finds that the bookstore has survived! I’m planning a visit and bringing more than my pocket change. A bit closer to “the Square” lived The Globe Corner Bookstore, where my husband and I bought the travel guides that would determine the two Greek islands we picked to visit for our honeymoon—Santorini for its exquisite photos and Skyros for its off-the-beaten-path descriptions. Despite a 40,000 page “most comprehensive travel site on the web” (according to Wikipedia) the store closed in 2011. Thank you Globe for our personal discovery of Skyros, before it became a new age destination. New Words Bookstore, in neighboring Somerville, raised my consciousness as a woman, helped me heal, opened my eyes to the possibility of a divine feminine. I bought Trauma and Recovery, When God was a Woman, and the The Courage to Heal. These books helped me through the darkest of times and inspired creativity and healing movement as well. New Words helped me stay healthy through my first pregancy and prepare for delivery with books like Spiritual Midwifery and The Natural Pregnancy Book. These books transformed my view of childbirth from one of absolute fear to one of a natural, miraculous, normal and wonderous event. These books gave me back my power as a woman. New Words closed in 2002, shortly after I left the Boston area for Rhode Island. Seven Stars in Central Square fed the mystic in me. On a tight budget at the time, I often shopped the sale shelves or just browsed to be inspired. I read Carlos Castaneda and returned to Hermann Hesse. I watched the people who came into the shop, browsed the shelves and wondered about their inner lives. Was the ponytailed man a weekend shaman? The sixty-year-old woman in a gypsy skirt a wise grandmother with a knowledge of herbs? When I moved to Rhode Island I discovered other independent bookstores. My favorite?—the incredibly magical The Other Tiger, with its enchanting children’s room and rows of books on writing. My friend Tracy and I would drive down to Westerly for an indulgent book purchase on our stay-at-home mom budgets when our kids were toddlering. Closed in 2014. I admit, today I buy most of my books on Amazon. It’s cheap. It’s easy. I don’t waste money on gas. But I also make a point to shop locally. The online experience pales in comparison to my visits to Wakefield Books (yes, we are so lucky in South County—an independent bookstore that fiercely supports authors and caters to those on a budget with its extensive, carefully selected bargain books). There, I recently purchased Big Magic by Elizabeth Gilbert (you can still order the hardcover version for only $8.98 there today!). I tend go to Wakfield books to find gifts for birthdays, holidays, a child away for the week at sleepaway camp (the latter turning up more than just books—a puzzle, a book lamp for night reading, a 3D bookmark). I know the staff will always lead me to something special—the perfect gift for the person whose tastes I describe. As readers, independent bookstores enrich our lives and help us find books in satisfying ways. As authors, independent bookstores mean even more. It’s the independent bookstores that often give a book by an unknown author its initial lift by sharing it with readers who would otherwise not find it. The independents give readers a place to find your book, not just by keyword but by staff recommendations and placement on a table of books by local authors, for example, something Wakefield Books always does. Discoverability: Amazon and other retailers show readers books based on algorithms which tend to favor older, proven books or experienced, well-known authors. Diversity: One can argue that there is great diversity on Amazon, but how easy is it to access? How easy will it be for readers to find your book if it doesn’t fit particular keywords in a search or a particular algorithm, or the corporate decisions of a large chain bookstore? Community: Independent Bookstore open their doors to author readers and other events, introducing you to new readers who may become lifelong fans and share your work, feeling more connection than if they hadn’t met you personally. Connection and Opportunity: Independent bookstores can help connect you in the wider community of independent stores nationally. When I presented a workshop at the Association of Rhode Island Authors a few years ago, its president and founder Steven R. Porter shared a story about a local middle school student who wrote and self-published a book which generated strong local sales. At a conference, Wakefield Books’ owner told other bookstore owners of the book’s success. These stores stocked the book, exponentially boosting regional and national sales and, eventually, resulting in a traditional book deal with a fancy author’s advance! I don’t want to imagine a world without local, independent bookstores. Do you? Let us celebrate and support our independent bookstores. We are so lucky for the ones we have left. Let’s remember to shop there when we can. For independent bookstores to survive, we need to support them. If you buy crazy numbers of books, perhaps you can’t buy them all at your independent, but consider deciding on the percentage of your book buying budget you wish to use to support the independents near you. You can also consider buying books at Powell’s online, the largest independent bookstore. What’s your favorite favorite bookstore—past and present? Do you have a story about the support you received from an independent bookstore? Or a benefit to add to my list? Please share your favorite moments—as a reader or a writer. An authority on book writing and publishing, and winner of the Silver Stevie Award for Coach/Mentor of the Year, Lisa Tener guides experts, entrepreneurs and visionaries to joyfully write and publish their books. Lisa has been quoted in the New York Times, interviewed on ABC World News, serves on the faculty of Harvard Medical School’s publishing course, and teaches Award Winning Book Writing Courses. Lisa Tener's clients have received 5- and 6-figure book deals from a large variety of publishers from Random House and Harper Collins to niche and university publishers. Her clients' books have been featured by Oprah, on NPR, the Today Show, Good Morning America and all over the national media, including the New York Times, Cosmopolitan, Women's Health, Forbes and much more. How one book can change a child’s learning experience.